端和阳, 刘保昌, 何宜军, 李秀仲. 2019. DUAN He-Yang, LIU Bao-Chang, HE Yi-Jun, LI Xiu-Zhong. 2019. Oceanologia et Limnologia Sinica, 50(2): 291-300. DUAN He-Yang, LIU Bao-Chang, HE Yi-Jun, LI Xiu-Zhong. 2019. 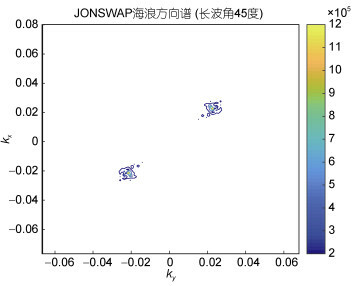 AN IMPROVED RAW DATA SIMULATION METHOD FOR MEASURING OCEAN SURFACE CURRENT[J]. Oceanologia et Limnologia Sinica, 50(2): 291-300. Abstract: Synthetic Aperture Radar (SAR) raw data simulation of ocean surface is an effective tool for studying ocean surface waves and currents. 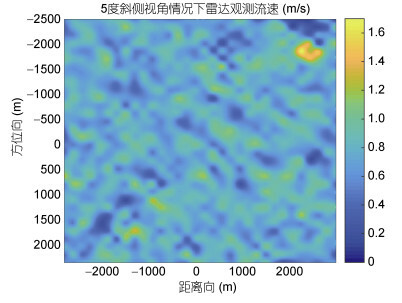 At present, the raw data simulation method of ocean surface has been realized with the spatial variation of ocean motion parameters based on the inverse Omega-K algorithm. 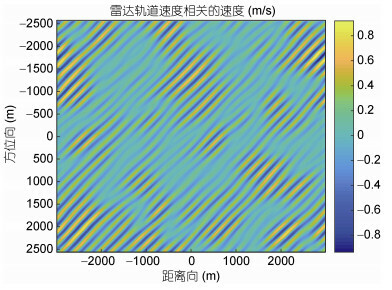 However, only the side-looking simulation of sea scene is currently discussed. 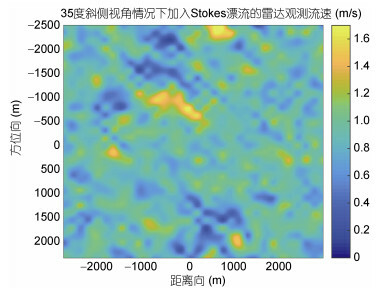 The application scope is limited, and the Stokes drift and Bragg phase velocity are not be considered simultaneously. 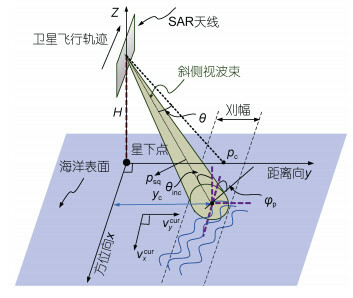 Generally, for example, in order to retrieve a two-dimensional velocity vector of the sea surface current field, the radar needs to observe the same area of the sea surface from two different directions; therefore, a large squint-looking radar beam is needed. 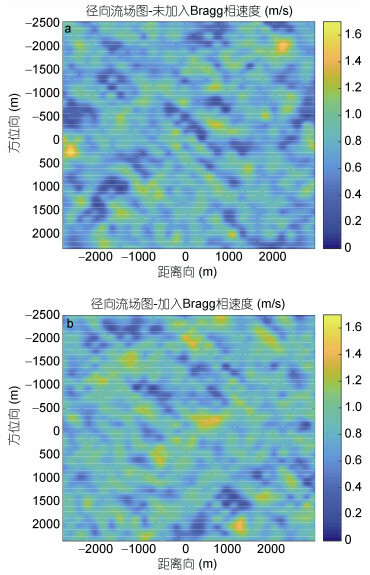 At the same time, Stokes drift and Bragg phase velocity are two movements that cannot be ignored in SAR sea surface observation. 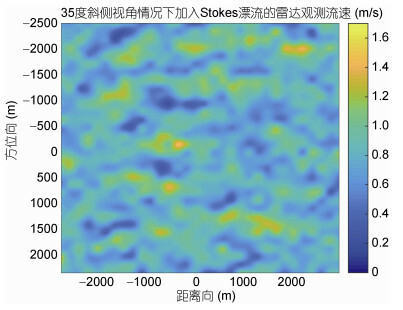 Without changing the original side-looking inverse Omega-K algorithm, we grafted the side-looking SAR raw data into the large squint side-looking inverse Omega-K algorithm by adding the strabismus beam center position coordinates at the zero-azimuth moment and determining the position of the original SAR data in the Doppler domain, and adds Stokes drift and Bragg phase velocity. 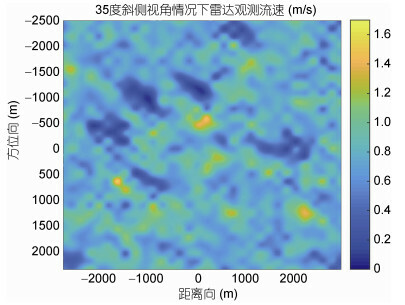 The results show that the hypothetical current field can be well inversed and the accuracy can satisfy the requirements. 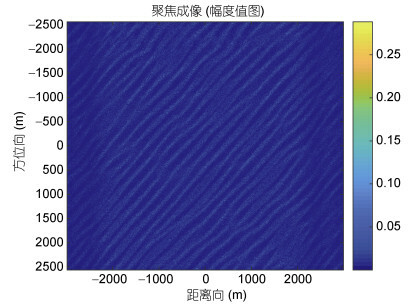 The focused SAR image reflects the shape of the sea surface wave field very well. Mao Y, Guo L X, Ding H F, 2011. 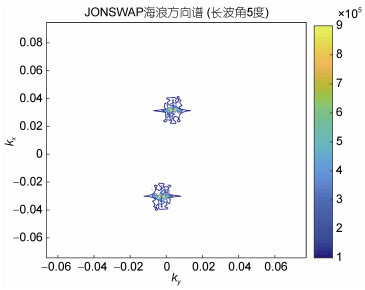 Numerical simulation for the sea echo spectrum of OTHR radar based on JONSWAP sea spectrum. In: Proceedings of 2011 IEEE International Conference on Microwave Technology & Computational Electromagnetics. Beijing, China: IEEE, 3.